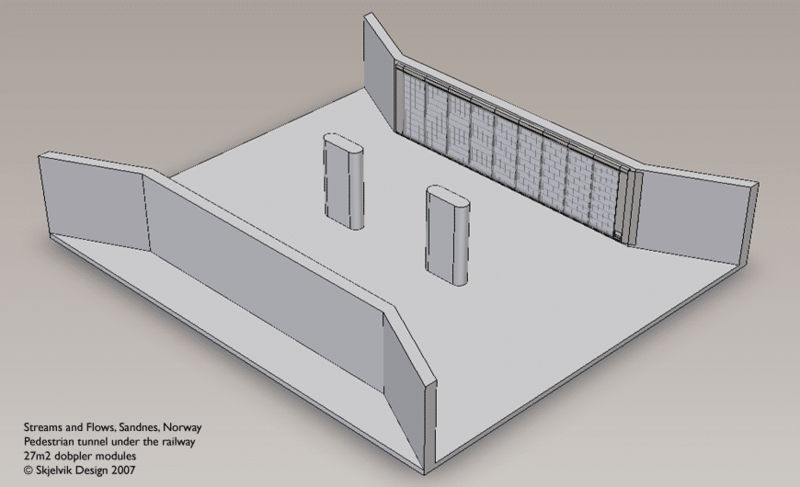 Inhabitat has a great article about the Dobpler LED Wall, which is a motion-activated LED installation in the pedestrian tunnel in Sandnes Sentrum, Norway. 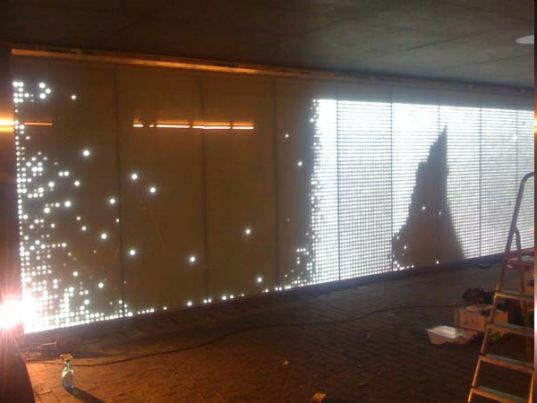 The installation was a part of the city’s European Capital of Culture 2008 events – The StrÃ¸mmer, as it is called, is an interactive wall of LEDs that illuminate when a person passes by it, and follows that personas they travel down the wall. There’s a great video of this on the website of the architect, Snohetta Architects of Norway. The StrÃ¸mer is the brainchild of Stig Skjelvik and SnÃ¸hetta architects in collaboration with Prototyper AS and Rasmus Hildonen. 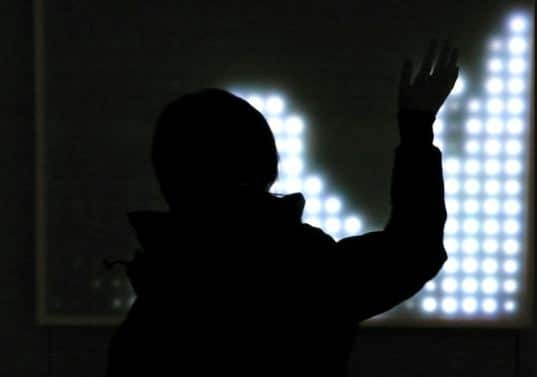 It is based on Stig’s Dobpler prototype, a modular interactive LED system that is activated by movement. When arranged next to each other, the project create a uniform series of modules that illuminate based upon a visual input system. 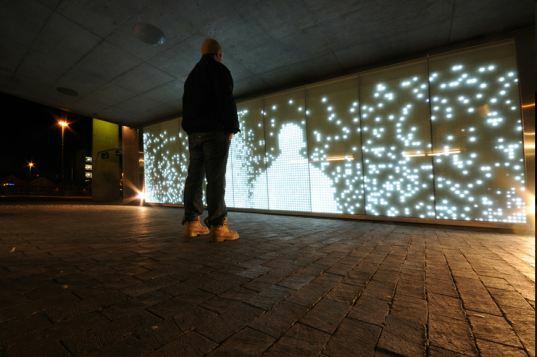 As people move through the tunnel the wall lights up and leaves luminous trails behind them. Needless to say, this is a great way to turn a very, well, pedestrian space into a brand new experience. Look at some of the images from the installation. Does that not look like a lot of fun?